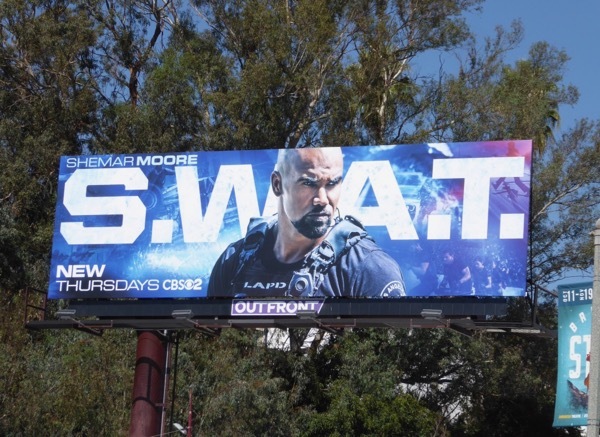 Shemar Moore may have left long-running CBS procedural Criminal Minds, having played 'Derek Morgan' since 2005, but his familiar and handsome face is now headlining the TV remake of police drama, S.W.A.T. 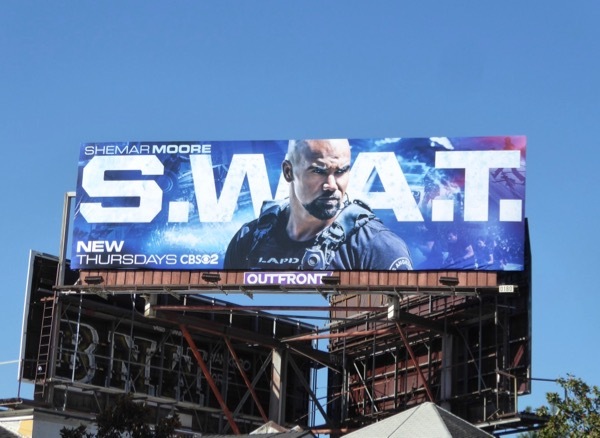 The acronym S.W.A.T. stands for Special Weapons and Tactics in law enforcement circles and the original show aired for two season in the mid 1970s on ABC and was later revived on the big screen with 2003 feature film. 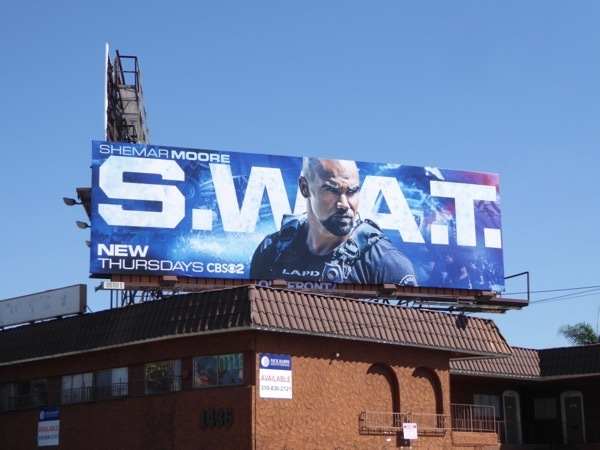 In this version Shemar Moore stars as 'Sergeant Daniel "Hondo" Harrelson' tasked with running a specially trained elite tactical response unit in L.A. 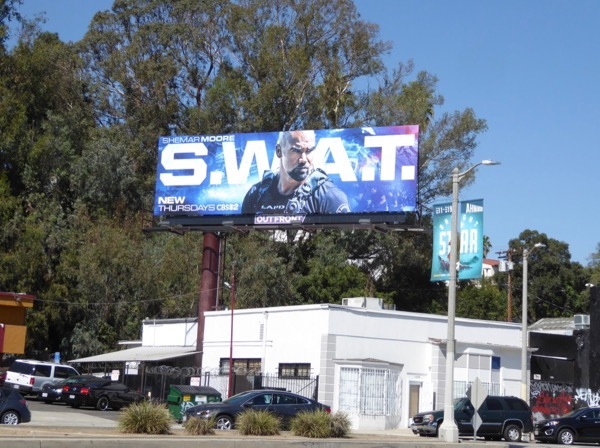 These series launch billboards were snapped along La Brea Avenue, La Cienega Boulevard and the Sunset Strip from October 4 to October 10, 2017. 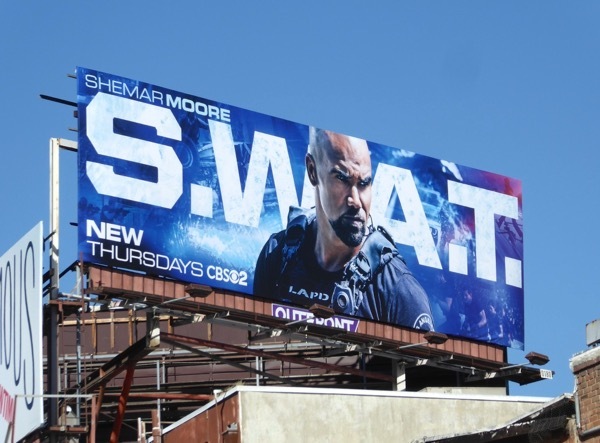 Only time will tell whether this rebooted cop show can hit the mark and provide CBS with another procedural thrill ride this fall TV season.